Keyboard and Mouse Support: A Game Changer? Microsoft has been adding a lot of new features to the Xbox One since its launch in 2013, including backwards compatibility, the Play Anywhere© program, and Xbox Game Pass. KBM support is just another piece in the puzzle for Microsoft. Windows 10 PC owners can already take advantage of the Play Anywhere program, giving users access some of Xbox One's exclusive games, including Gears of War 4 and Forza Horizon 3. In addition, VP of Xbox gaming, Phil Spencer, stated last June that he plans to bring Xbox emulation and Xbox Game Pass to PC. KBM support could be the one thing that bridges the gap between Xbox and PC gaming, allowing gamers to use what they are most comfortable with on both platforms. I currently use my Xbox One controller for certain games on PC because I find it easier to use at times. There are plenty of games on Xbox One that could make good use of KBM support such as Cities Skylines, Elite Dangerous and Halo Wars 2. 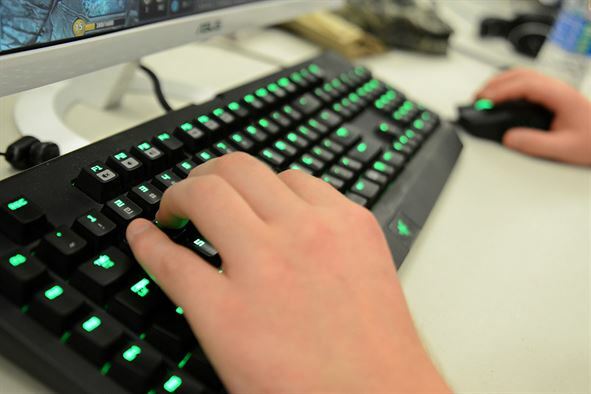 If you have ever used a keyboard and mouse, you can agree that it is vastly different than using a controller, and can even make certain games easier to use. Thus, we run into the issue with matchmaking and who we want to play with. Similar to what Ybarra said in August, matchmaking needs to be fair and it needs to be done in a way that people from both sides can enjoy. It remains to be seen how developers will balance games for those users that are uncomfortable with cross-playing controller hardware. It could be as simple as selecting who you want to play with, but then you deal with splitting up game communities and shrinking lobbies which is doubtfully the intended result. We will have to see what solution Microsoft and the developers come up with to keep a fair playing field that works for everyone. Microsoft has already announced that Gears of War 4 is in beta stages for testing KBM support on consoles, and Minecraft recently enabled KBM support with the, “Better Together©” update. This could be the beginning of something huge for Xbox One when the feature is fully released. There are countless games on PC that are not on other platforms because of how difficult it is to rework user interfaces and controls so that they work properly and smoothly. There may very well be an explosion of new games flooding to Xbox One that were previously PC-only titles once KBM support arrives. MMOs, MOBAs and RTS games could begin to show a heavier presence on the Xbox One, where currently they are far and few between, (World of Warcraft anyone?). The possibilities are endless as to what this could do for Xbox One in gaming and even professional applications. Programs such as Excel and Microsoft Word could easily be added to the Xbox One giving it even more functionality and purpose than it already has. Imagine being able to turn your Xbox One into an affordable, compact hub, for gaming or work related needs on the fly. Now there might be some that say, “Oh, well Xbox is just turning into a PC,” and to some extent that is correct. However, I believe Xbox will always be a simple, affordable plug and play system. Microsoft clearly sees the importance of gaming and that they must evolve with the changing times. We should all look forward to the bright future of the Xbox One and what it has in store for us. Microsoft has only just begun what appears to be a big, positive shift in how we game and see gaming on console.